Max Jorge Hinderer Cruz is a Bolivian-German philosopher, writer and editor who lives in Rio de Janeiro. 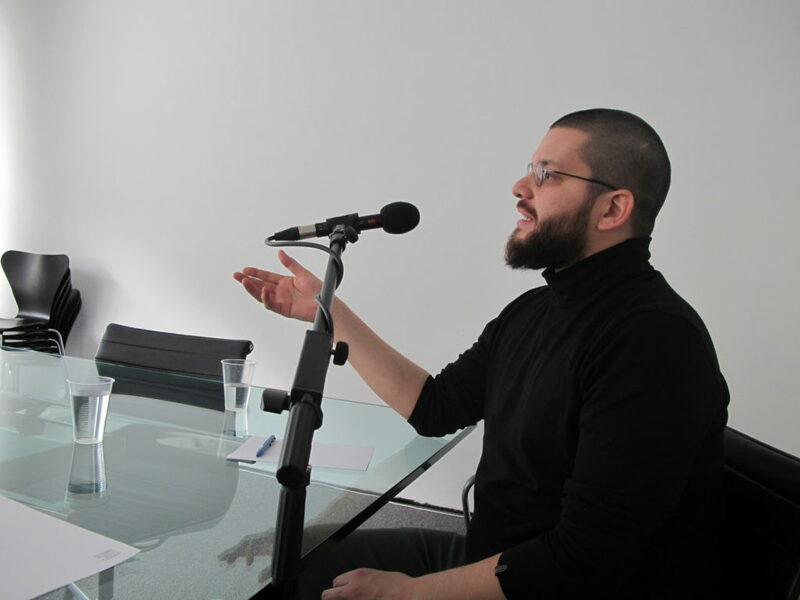 He works as a curator and cultural critic, having published essays focusing on colonial history, aesthetic philosophy, the political economy of so-called ‘active’ substances, and the production of subjectivity. For PASS in Mexico, Max Jorge Hinderer Cruz will programme ‘Things that go in and out of the body (time, skin, and coloniality)’, an educational and participatory program on drugs, rhythms, fragmentation, audio-penetrations and mega-ejaculations. It is an attempt to sharpen the notion of a co-existence of every colonized territory; of every material extension and of every body to be dominated by time, and with a irreducible and irreverent temporality. The focus will be on practices and processes of emancipation and empowerment over the domain of setting the skin as difference; on practices of claiming autonomy and sovereignty over the permeability of the “I” and of the skin as a frontier; and on things that go in and out of the body: fluids, substances, objects, other people, and impulses. Category: Pass Blog | Tags: Max Jorge Hinderer Cruz, PASS in Mexico | Bookmark: permalink.